Lately there’s been a lot of speculation about the Mahindra Roxor, so today we’re going to set the record straight. What follows is everything we know about the FCA and Mahindra lawsuits and legal battle as of January 2019. Want to become an armchair expert on this in 10 minutes or less? You’re in the right place. Unless you’ve been living in a cave, you know that every warm-blooded off-road enthusiast in America has been begging for a back-to-basics off-roader for years now. All we want are thin A-pillars and lightweight roofs that would most certainly collapse in a rollover. But noooo, the government says those are “unsafe”. Just don’t wreck. Problem solved. On the second day of March in the year of our Lord 2018, Indian car and tractor manufacturer Mahindra answered our prayers. They bestowed upon us a modern reincarnation of the Willys Jeep called the Roxor and yes, it’s everything we wanted it to be. Like anything that sounds too good to be true, the Roxor has come with its fair share of catches. The price tops out at nearly $20,000, speed tops out at 45 MPH, and it’s classified as a UTV so it isn’t street legal. Luckily those things can be easily remedied, unleashing a 70+ MPH street legal CJ-5 replica that’s every bit as good as the original. The Roxor has been plagued with bad PR since the very beginning, with speculation that Mahindra simply cloned the vintage Jeep platform without permission. 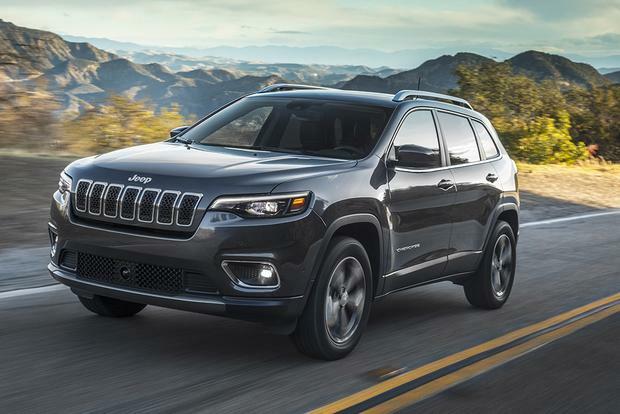 The latest drama comes from the parent company of Jeep, Fiat Chrysler Automobiles (FCA), who now allege that Mahindra had no right to build and sell the Roxor in the United States. Yet Mahindra has held production rights for the Willys-style Jeep since the late 1940s, they’ve been building their own versions in India for decades, and the Roxor is just a US-market version of the Mahindra Thar which has been on sale in India for nearly 10 years. Mahindra requested to keep this matter within the local courts of Michigan (where FCA is based and the Roxor is assembled), but FCA insisted it be handled by the International Trade Commission, the legal equivalent of airing the story 24/7 on CNN instead of at 3 in the morning on PBS. If it sounds like that lawsuit came from left field, it did. According to Jalopnik, not even Mahindra themselves were immediately aware of the filing. Which is slightly suspicious considering all the effort it took to get the Roxor here in the first place: the factories, the marketing… but we’ll get to that in a second. You can view the full ITC complaint documents here. Mahindra responded to the complaint by filing a lawsuit in late August of 2018, alleging that FCA’s complaint has done significant damage to the Roxor’s identity and sales. The suit cited a 2009 legal dispute as proof that Mahindra had written permission from FCA to build and style the Roxor as they did. That dispute began when Mahindra designed a grille for their late-2000s Scorpio SUV which bore a passing resemblance to the Jeep brand image of the time. The two companies talked it out, Mahindra redesigned the grille, and then-President and CEO of Jeep Michael Manley signed off on a document stating that Chrysler wouldn’t sue Mahindra for any future grille designs stemming from the one they agreed on – a variant of which is the now-infamous “four-and-a-half slot” grille found on the Mahindra Roxor. Yup, they all have slots. As far as the English language is concerned, that’s simply Chrysler saying they won’t ever sue Mahindra just because a vehicle incorporates said grille design. But to a person of wit and intellect, that’s actually Chrysler giving Mahindra free reign to design any vehicle they want around the aforementioned grille without any risk of intellectual property infringement whatsoever. Within a year, the Mahindra Thar went on sale in India looking exactly like a Jeep. It’s not hard to see what’s happened here, but it’s baffling that we made it this far. The rest of this article is opinionated babble. As I write this article nearly a decade after the Scorpio Agreement was made, I have many questions about how we arrived at this situation. You can’t just import and sell a new brand of vehicle in the United States overnight, after all. Porting the Indian-market Thar to the US market undoubtedly required extensive research and legal gymnastics – according to Mahindra, it took over three years of hard effort. They worked with dealerships to market and sell the Roxor, and they fostered relationships with American suppliers to ensure that over 20% of the Roxor’s parts are sourced locally (with a stretch goal of 51%). Yet while the original announcement of the Roxor happened in late 2017, none of that year’s marketing material featured any images of the Roxor itself. No Instagram teasers, no spotting of test mules, no headlights shining through a car cover, nothing. We were all unaware of the Roxor’s true identity until it hit the market – FCA included. But the automotive industry is highly secretive, so that isn’t necessarily grounds for suspicion. I mean, it’s not like they built a factory in Chrysler’s back yard or anything. To assemble the Roxor and house their growing North American operations center, Mahindra constructed a brand-new, $230 million, 150,000-square-foot production facility less than a mile from the FCA headquarters in Auburn Hills, Michigan. And wouldn’t you know: at the factory’s grand opening, the prototype Roxor was proudly displayed hidden under a tarp. It’s safe to assume that during all the development, testing, and prototyping, not once was a Roxor spotted by anyone at FCA – if they had seen one, we wouldn’t be having this conversation – even though they were being built less than a mile away. This new facility won’t just build Roxors, mind you. Mahindra is planning a new line of trucks, SUVs, and electric vehicles set to launch in 2020 to be sold in the United States and Canada. So not only did Mahindra fully hide the Roxor from public view until it launched, they’re planning to sell an entire lineup of cars in the US – probably styled like the Scorpio – within the next few years. Mahindra clearly knew they were skirting a line of legality by building the Thar and bringing it to the States. No one’s disputing that. It’s curious that FCA wasn’t concerned with brand-image competition elsewhere in the world – they never raised a fuss about the Thar in India, though the two companies share that market – but I see why they’re taking firm action now. It’s their approach to this situation that bewilders me. The Roxor is mainly designed for two groups of people: off-road purists and farmers. No farmer has ever gone to the dealership and bought a brand-new, leather-seats-and-backup-cameras Jeep to haul hay and herd cattle, and no off-road purist (who loves a stripped-down CJ covered in dents and caked in mud) would ever buy a 4000-lb, $30,000, soon-to-be-hybrid Wrangler for serious dirt duty. So it’s not like Mahindra is stealing sales from Jeep here. The Mahindra Roxor reminds people of old Jeeps. Old Jeeps are cool. Ergo, the modern Jeep brand is cool by association. In a perfect world, FCA would fully embrace this. They would support the Roxor as the novel UTV that it is, give Mahindra all the backing they could muster, and enjoy the free publicity from a brand-new 50-year-old Jeep sitting on showroom floors, with the added benefit of publicly supporting a foreign company that’s actively investing in American jobs and the American auto industry at a time when we need it the most. They could work behind the scenes to legally ensure that no roadgoing Mahindras ever carry the Jeep brand image in the States, then call it a day. To be fair, Mahindra went about selling the Roxor with the sort of “better to ask forgiveness” mindset that got me chewed out for buying a motorcycle while my girlfriend was out of town. A quick email might have smoothed it all over, but for some reason I fully expected her to come home and be totally okay with it without any prior warning. To my complete surprise, she was appalled. And in hindsight, I can’t say I blame her. With that said, here’s everything we know about the Mahindra and FCA legal battle condensed into one paragraph.